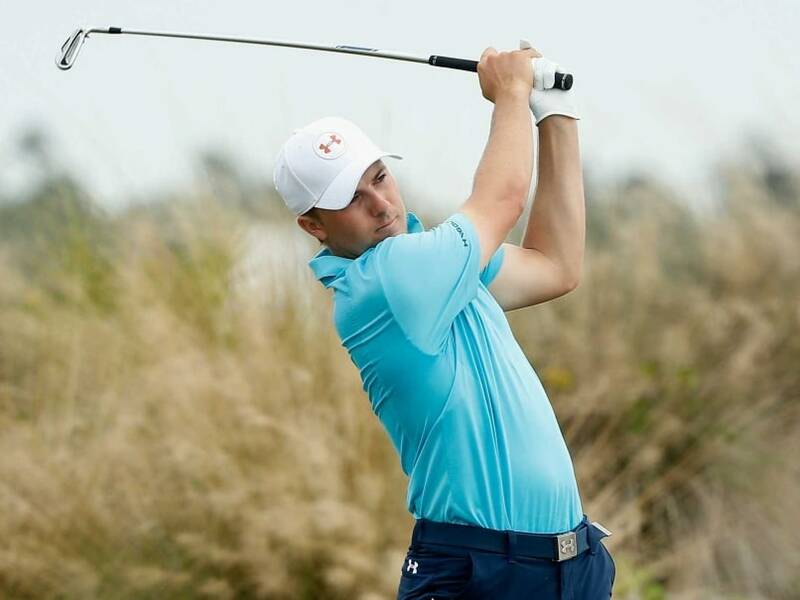 With six birdies, two bogeys and an eagle, the reigning Masters and US Open champion Jordan Spieth finished 36 holes on 11-under 133 to join fellow Americans Bill Haas and Jimmy Walker atop the leaderboard in the Hero World Challenge. With six birdies, two bogeys and an eagle, the reigning Masters and US Open champion finished 36 holes on 11-under 133 to join fellow Americans Bill Haas and Jimmy Walker atop the leaderboard in the 18-man invitational event hosted by Tiger Woods at the Albany resort near Nassau, Bahamas. Americans Patrick Reed and Chris Kirk each shot the day's best round, a 65, to share fourth with Bubba Watson on 134 with England's Paul Casey and Americans Zach Johnson and Matt Kuchar sharing seventh on 136. Spieth birdied the par-3 second but stumbled with bogeys at the par-5 third and par-3 fifth. He responded with three birdies in a row starting at the par-5 sixth, eagled the par-5 11th and added back-to-back birdies at 13 and 14 as well. Walker, who shared the first-day lead with Casey and Johnson, opened with back-to-back birdies but took bogey at the fifth as well. He answered with birdies at the last four par-5 holes -- six, nine, 11 and 15 -- as well as going bogey-birdie at 12 and 13. Haas opened with a birdie and eagled the sixth, then added birdies at seven, nine and 11. His lone blemish, a bogey at 13, was followed with a birdie on the next hole and four concluding pars.